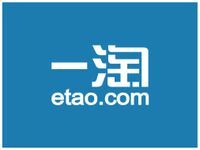 Etao, the shopping search service under Alibaba Group, announced today to make inroads to online travel search, starting with a hotel search service. It sounds like a direct competition to Qunar, the online travel search majority-owned by Baidu. Hotel.etao.com has indexed 300 thousand entries of hotel information from Ctrip and other five less-known online travel services. Etao is working with AutoNavi, the digital map provider Alibaba invested in, to enable users book hotels directly through AutoNavi maps after doing searches, according to a representative at Etao. With Etao, Alibaba has stepped further into the search sector. As Taobao doesn’t charge retailers for setting up stores and Tmall only charge merchants a small fee, it is believed that the majority of Alibaba’s profits is from paid search on Taobao and its other e-commerce properties. As you may know that Alibaba blocked Baidu, the largest search engine in China, as the latter was stupid enough that declared to beat Taobao in three years when launching its own consumer-to-consumer e-commerce platform in 2008. So Alibaba is to a large extent a search business in terms profits.